Growing up in the 80’s, I was accustomed to seeing the Chia Pet commercials during my favorite television shows. 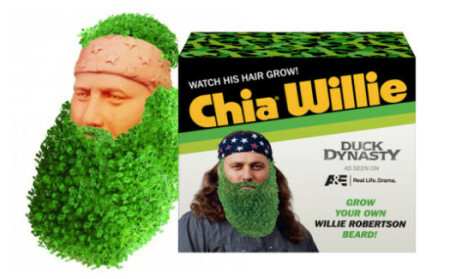 I’d walk around the house singing, “Ch-ch-ch-chia!” And after a while, I went from thinking Chia Pets were stupid to actually wanting one. I begged my mom to buy me a Chia Pet. On a rainy summer afternoon a few weeks later, my mom relented and surprised me with my very own Chia Pet. I rubbed on the chia seeds, watered the pet’s bare, little body, and waited for the chia seeds to grown. Within a week, vibrant green leaves sprouted from those seeds. I was a gardener, and I was ecstatic. My Chia Pet sat on my dresser, blooming for the rest of the summer. By Christmas, my Chia Pet coat had shriveled and died, most likely due to my lack of attention. Over the next few months, I grew tired of the Chia Pet and banished it to the garage, where it later sat on a for sale table with a seventy-five cent sticker on it. It’s thirty years later, and while I no longer have a Chia Pet, I have once again fallen in love with chia seeds. Dubbed a modern day superfood, chia seeds are gaining popularity and can be found in a variety of healthy foods and drinks. Chia seeds are native to Mexico and Guatemala and have been used for centuries in those cultures as a food staple. In today’s Mexico, they often serve a chia frescas, which are chia seeds soaked in water and mixed with sugar and lemon. Chia seeds have made their way into the American diet over the past few years because of their super nutrient value. The seeds are rich in fiber, protein, and calcium. They absorb up to twelve times their weight in water, which leaves you feeling hydrated and full longer. 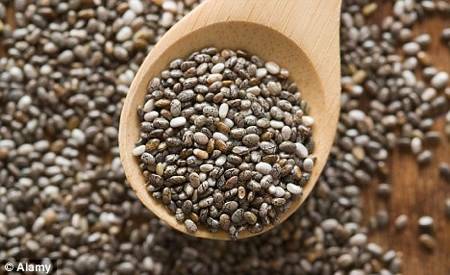 Chia seeds pack a tremendous nutrient punch in only a tablespoon or two. In fact, they offer many of the same benefits as flax seeds but with fewer calories and less work because you don’t have to grind the chia seeds to get the nutrient benefit. There are more than a few ways to enjoy chia seeds. Sprinkle them on a salad or yogurt. I like to blend them into my green smoothies in the morning or add a teaspoon to my homemade protein cookies. Recently at Fresh Market, I found Chia Pods, a delicious grab-n-go chia seed snack. You can also find them at Whole Foods. 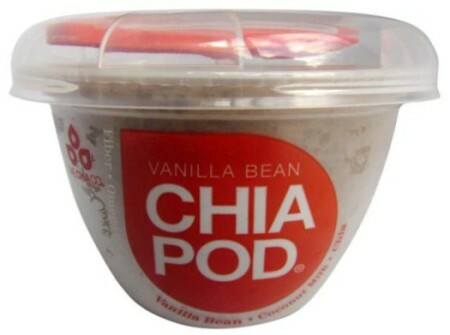 Chia Pods are simple, clean, and tasty. They are made of only chia seeds, coconut milk, cinnamon and sometimes fruit. They even come with a tiny spoon attached to the inside of the lid for true on-the-go snacking. In case you aren’t convinced to add chia seeds to your diet, how about this? Chia seeds also contain more omega-3 fatty acids than salmon. Protein, fiber, healthy fats, and calcium with minimal calories? Yep. This superfood will have you singing “Ch-ch-ch-chia” all day long. 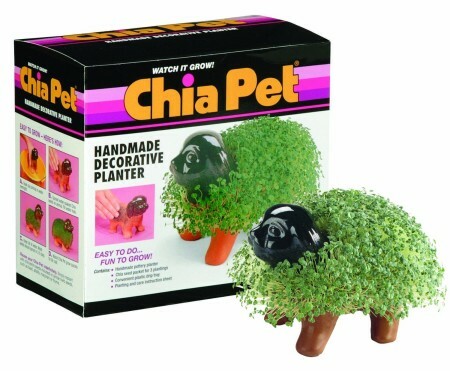 And just in case you’d like to go old school and get your own Chia pet, I hear this one is a top-seller. This entry was posted in Wellness on June 4, 2014 by Karena.